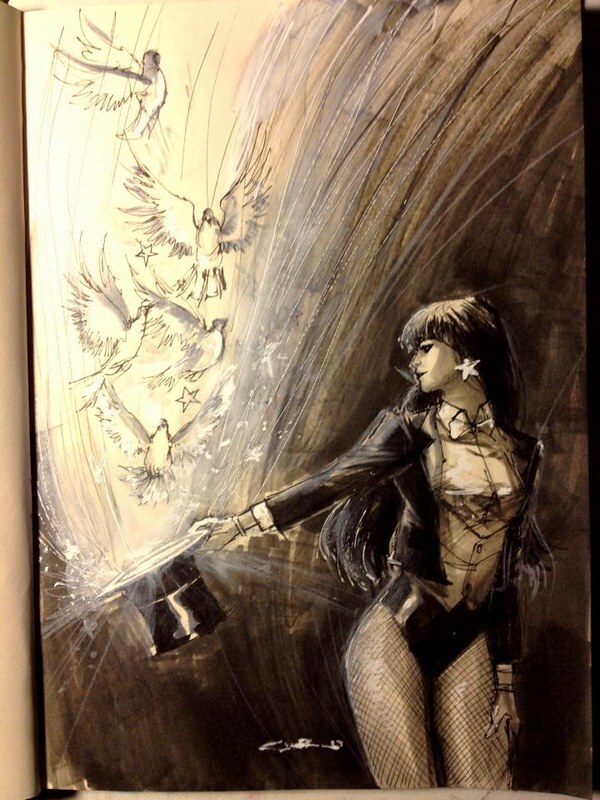 I've been viewing Yildiray Cinar's DeviantArt page and his blog, lots of nifty illustrations there including this piece featuring Zatanna. The mistress of magic conjures up some pigeons. The overall sketchy vibe of this one reminds me of Bill Sienkiewicz. Nuff Said!